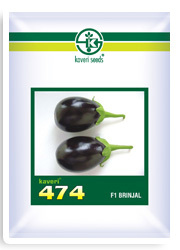 Brinjal is a warm season crop; a long warm season is desirable for successful brinjal production and it is a hardy crop. It is widely grown and consuming vegetables in India. Many countries consider it as a poor man’s (meat) rich vegetables. Rich source of fiber, folic acid, calcium, potassium, contains vitamin C and B and minerals.